It’s about time to wrap up, but I would like to finish by asking each of you to say something to those who played the original version of The Legend of Zelda: The Wind Waker and to those who haven’t. 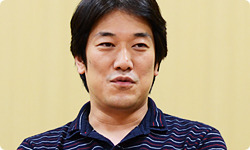 Aonuma-san, you’ll be last, so let’s start with Iwamoto-san. I was able to make a lot of fresh adjustments to this remake, so I would be happy if people who played the original game notice the differences. An obvious one is how the speed of the ship has doubled, and you can put the map on the Wii U GamePad in your hands, so it’s easier to enjoy the game world. And we made it compatible with Miiverse22, so please try that out.22. Miiverse: A network service, integrated with the Wii U console at the system level, that allows people all over the world to connect through their Mii characters and more fully enjoy video games. People can interact by sharing their thoughts by posting comments and hand-written illustrations in the communities of their favourite games. All right. And to people who haven’t played the original? Compared to the rest of us, Iwamoto-san’s viewpoint was closer to that of a regular gamer’s, so if he says it, it must be true! I want to convey to people who have played the original that the impression it makes has changed so much that you could say we made the game world anew. I’m confident of that! We’ve completely redone the lighting as well, so I think players will be able to enjoy this reborn world with excitement. Some people who haven’t played the original are probably thinking “Didn’t that game come out over ten years ago?” But it’s a game packed with unprecedented fun that doesn’t feel old. Yes, it really is unique. When it comes to the animation, we hardly corrected it at all, but that’s because we think the original is the most visually pleasant of The Legend of Zelda games. I hope everyone will enjoy it in their living rooms on big-screen TVs together with their family and friends. All right. 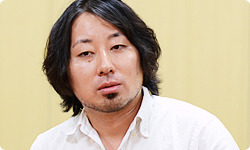 Dohta-san. First, to people who have played the original. This came up earlier, but we weren’t able to express all of our creativity in the Nintendo GameCube version. In the HD version this time, we were able to express the developers’ leftover grudge. But that word does seem to fit best! Like something held it here and it couldn’t move on? Some extremely obscure things made me surprised at how thoroughly it was made. I exhaustively uncovered them, so I hope people will notice. Okay. And to people who haven’t played the original? Something I noticed all over again as a developer is that The Wind Waker is such a pure game. The direction of the game itself is that way, and the story is too: it’s pure and straightforward, without any wavering. I want people to fully enjoy that kind of pure entertainment. “Pure entertainment” is a good way to describe the nature of this game. Those who can enjoy that for the first time are quite lucky. 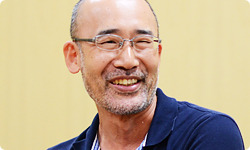 Arimoto-san, what would you say to people who have played the original game? It’s about time to wrap up, but I would like to finish by asking each of you to say something to those who played the original version of The Legend of Zelda: The Wind Waker and to those who haven’t. the brothers Orca and Sturgeon 23 on the first island don’t really look alike, but when you see them in HD, Sturgeon’s eyes have a sharp glint to them behind his glasses. When we saw that, we thought, “Oh, they really are brothers!”23. The brothers Orca and Sturgeon: Residents of Outset Island, the opening setting of The Legend of Zelda: The Wind Waker. They teach Link swordplay and various controls. Yeah. There are other things too, though! (laughs) And some people who haven’t played the original game think that there’s nothing more to Link in The Wind Waker than his cuteness. While he does look cute, his actions are always manly and cool! If you look at what he does and accomplishes in the game, he is the manliest Link in the history of the series. He doesn’t make a lot of sugary cute facial expressions and poses. But he does kind of frolic when he gets a Heart Container! Well, the rest of the time, he plays it cool, which makes that behaviour stand out. 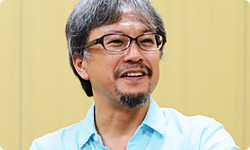 And last, Aonuma-san. Your closing comments, please. Earlier, we described the game as pure and straightforward, and I do think a lot of the original game came together in a burst after that one picture of Toon Link. We really dashed through at full power. However, when I played through it, a lot of clumsy spots came into view. We fixed those places and put it in HD, adding a new, polished edge. I think people who have played the original game are sure to notice that. I think they will definitely be able to sense, in a magnified way, what was there before. We made this version easier to play and more comfortable to make progress with, so I think they will be able to experience the joy of playing through every inch of this world. It’s easier than before to experience the game world through and through. Yes. 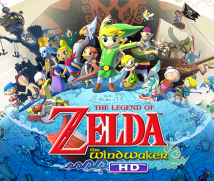 And to those playing for the first time, it wouldn’t be wrong at all to think of The Legend of Zelda: The Wind Waker HD not as a remake, but as a brand new The Legend of Zelda game reborn for the world today. It’s a straight and robust Zelda game for 2013. Yes. I hope they will experience that to the fullest. I feel like the many elements refined for this game are hands extended to all kinds of people in all directions. I’m looking forward to how people will receive it when it reaches their hands. I want to see what kind of reception The Wind Waker HD finds. With regard to the intent of the original version and whether the feeling invested in it was right. 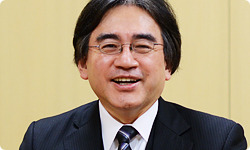 I think it will become an important turning point for thinking about The Legend of Zelda in the future. I also think The Wind Waker HD will be a fun game for people to watch others play. You could say that one criteria of a good game is that it’s fun for people to simply watch, and that is particularly true of The Wind Waker HD.Thanks to the HD graphics, the power of the visuals, facial expressions and game world have joined into one whole more than ever so that you can sense light, wind and warmth not usually apparent to the eye. I hope everyone will enjoy it on a large screen together with their family and friends. Thank you for today.